Born and raised in San Diego, California, T.R. Dailey attended The Art Institute of California, San Diego, where she received her Bachelor’s Degree in Media Arts and Animation. 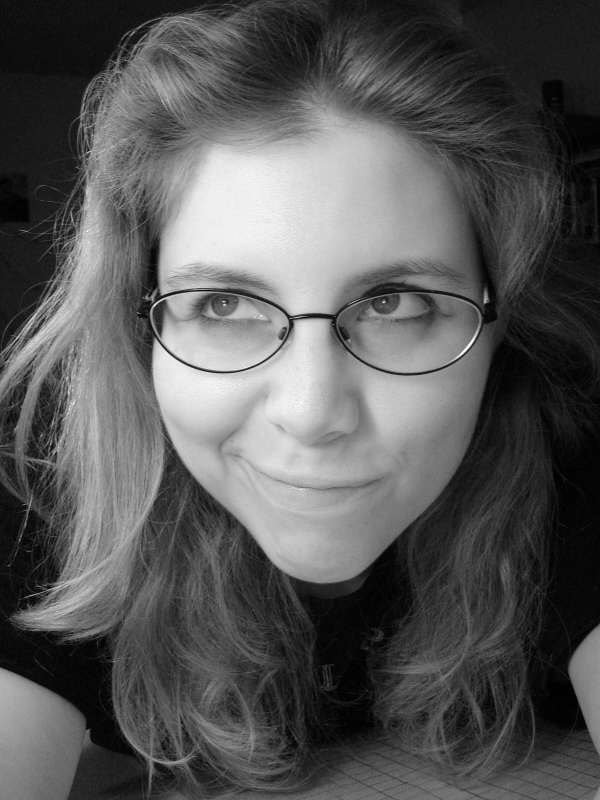 She focused on Animation, Particle Simulation/Dynamics, Editing, and Screenwriting. Her first job as a Stereo Production Artist (producing the 3D effect in movies) at Legend 3D was short-lived. After a mass layoff from the company she returned to a long on-again and off-again relationship with her writing. In late 2011 she moved to Los Angeles for her then-boyfriend’s, (now husband’s), job at another Stereo company. Once again, their time was short when only six months later another mass layoff found them drowning. Her partner snatched another job at studio Pixomondo, but was asked when he could move… because he had been hired in Baton Rouge, Louisiana. So they packed up their dogs, cats, reptiles, and 26-foot U-Haul and made the cross-country trek. They were only able to stay there for one year before the layoffs sent them reeling again, but during that time T.R. edited wedding videos, was asked for her hand in marriage, and published Another Lid to a Potless Existence: Collected Poetry 2006 – 2012. Soon, her fiance found a new position in the greater New York area and once again they packed up the house on another cross-country move. After living like mountain people far off in the woods near a lake in New Jersey for a year, the owner decided to sell the property. And, once again, they found themselves moving. This time a short distance, as it wasn’t for a job, to New York proper where they finally married. Currently, T.R., her husband, and animals continue to reside in New York. She was published in 2018 in the anthology Writing Through the Mess. As for her novels, she has shelved her first, The State of Dreams, to return to at a later date after feeling she had more to learn and couldn’t do it if she continued hacking away at her first manuscript. Thus Gumpford Starshock was born into existence in 2017. She is currently revising this second manuscript, Starshock in The Dark North (a working title), and is preparing to query in 2018. On a personal level T.R. enjoys coffee and tea (particularly Whittard’s pomegranate tea, delicious! ), as well as fine wines and cheeses and, of course, coffee. She enjoys nature – hiking or just sitting outside – as well as swimming, badminton and archery – the latter of which she was trained by an Olympian. She has an affinity to the punk culture, dystopian novels, and psychological thrillers. She admires the writings of Aldous Huxley, J.K. Rowling, Mark Z. Danielewski, and Kazuo Ishiguro. She’s particular to the country of Switzerland and dreams to visit Ireland. She get small pleasures from seeing squirrels in the backyard, the smell of books, and those ideas that strike you suddenly.